Saudi Arabia Says Qatar Should Pay For US Military Presence In Syria, Send Own Forces There 4.8888888888889 out of 5 based on 9 ratings. 9 user reviews. Saudi Minister of Foreign Affairs Adel al-Jubeir has said that Qatar should pay for the presence of US military forces in Syria, the Saudi Press Agency (SPA) reported on April 24. Jubeir’s statement was allegedly based on remarks by US President Donald Trump during a joint press conference with his French counterpart Emmanuel Macaron. SPA reported that “Minister of Foreign Affairs Adel bin Ahmed Al-Jubeir announced that Qatar should pay the voucher of the price of US military forces’ presence in Syria, and to send its military forces there, before the US President lifts American protection of the State of Qatar, embodied in the presence of US military base, on its soils. On April 17, Saudi Arabia declared its readiness to send troops into Syria as part of the US-led coalition if a decision is taken to widen it. On April 16, the WSJ claimed that Washington had allegedly requested Saudi Arabia, Qatar, and the United Arab Emirates (UAE) to devote billions of dollars for reconstruction efforts in the US-occupied part of Syria and had asked Gulf states to contribute troops to an Arab force that would replace US troops in the war-torn country. On April 4, the US Special Presidential Envoy for the Global Coalition to Counter ISIS Brett H. McGurk hinted about Trump’s plan to replace the US forces in Syria by the Arab ones. He noted that the move had “required” U.S officials “to go to our coalition partners and remind them that their coalition has a big role to play” in bringing peace to the Middle East. He indicated that the Trump administration had been pushing for “regional ownership” of the Middle East conflicts. Despite all these claims, Washington is expanding its military infrastructure in Syria in a move that does not look as a part of the troops withdrawal plan. For example, a US military installation is now under construction in the oil-rich part of Deir Ez-Zor province, according to the state-run Russian news agency Sputnik report on March 27, quoting the press secretary of the Syrian Democratic Forces (SDF), Mehdi Kobani. Another major exaple of the US troops withdrawal is a new military base in the area between Tell Baydar and Tell Tamr in northern Syria. At the same time, Saudi Arabia’s hostile remarks on Qatar are another example of the current diplomatic crisis between the two states that started in 2017. Since then, Qatar and Saudi Arabia have still not been able to find a common ground to improve the relations. Saudi Arabia should shut-up and drop dead. What is this ? How come they saying someone else would pay ? Isn’t that what the SA really good at ? The Jew world order miscreants are being reduced to grasping at straws in their efforts to stop the Russian led Juggernaut steaming to complete victory in Syria. With a lot of regional governments, led by the brave Egyptians, looking to change their allegiance from the criminally insane Satanic Jew 4 of Jewmerica, Israel, France and the UK to a Russian led power shift in the middle east away from the Yinon plan to a better future free of the Jew’s perpetual wars. 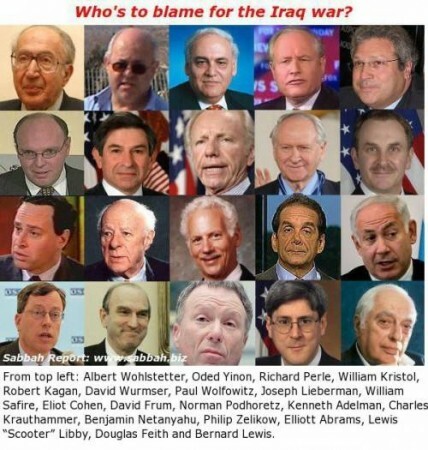 PNAC is DEAD. Oded Yinon plan is also DEAD and soon, ISRAEL will be DEAD. No, it’s all continuing under different names. But the tide is turning with the progressing Syrian government coalition victory and the successful outlawing and dejudification in China which needs to be implemented globally. North Korea outlawed taxation of the citizenry and China outlawed Judaism. These are progressive human and civil rights advances that need to be built upon by the rest of the planet. Be interesting since Qatar sponsors terrorists and if they go to Syria then the Syrians can attack them legally as invaders plus state sponsors of terrorists which makes Qatar a terrorist organization. Strange that Turkey has a base in Qatar as do the US and both are in north east Syria with bases. Someone has forgot to ask Assad for his opinion, doubt that he would approve. Qatar, Saudi, Jordan and Turkey are just second hand helper for terrorism, their bosses are Israel-USA-NATO (first hand thinking and money machine). Saudis and Israelis both are losers. For the last 100 years Anglo Zionists couldn’t got full control of Palestine instead of blockade and butchering 100,000s Palestinians. Thousands Anglo Zionists have been sent to hell for ever. All the conquering nations of history made their newly acquired lands pay tribute and allocate a part of their military forces to join the invaders army. Rome as an example had far flung legions throughout their Empire and those legions may of had Roman Generals and officers over the Hundred Groups and partial Roman troop but mostly were made up of mercenary groups from new lands and conscripts. IN actuality all the middle East and N. African nations have not had any real sovereignty, their borders set in place by Euro winners of WWI and WWII, an and their economies greatly controlled by those Eurocentric nations ever since. The oil rich portions of ME had rulers set in place, their wealth from oil while making their appointed leaders wealthy it never went towards but a few that still lived and ruled from tents and palaces, and beneath foreign rule. The formation of UAE itself was put upon them by foreign military geopolitical needs and OPEC gave them more wealth but all its markets for oil was determined by foreign owned financials and oil corporations. Up until First Kuwait Iraq invasion the real management of joint ysSaudi/Kuwit fields was all done by foreign contractors, mainly Japanese. So US/Britain/ Euros asking for those who always kissed their butts to pay tribute is no more than their due, and if they ask for those nations to have own kill or be killed damn right they should shut up, pay up and give em up. If it were not already such a tragedy it would be comic: Trump wants to leave Syria, but he wants the Saudies to step in or pay. Saudies agree in principle but they want the Qataries to pay and step in. Who is next ? Qatar is friendly to Iran. So why would Iran need to flatten Qatar? Let’s get the Saudis and the Qataris to do the fighting and we can sit by and just keep selling them weapons to do it with. and we can keep from being always embarrassed by RU weapons. win, win says D.T. A GCC force in Syria would be eaten for breakfast, lunch and dinner. I definitely agree with you. I wish you well Hrky75. How many men in the Saud, Qatari, Jordanian etc “armies” are native-born and how many are takfiri mercenaries and Euro-rabble? Has anyone noticed that the term Saudi Arabia is similar to the zionist propaganda term “the Jewish State of Israel”. I don’t like either so I use Arabia and occupied Palestine. I sometime refer to the Saud gangsters and perverts but I don’t drag the Arabians into it, because it isn’t their fault. They should get their country back same as the Palestinians. Not a peep out of the UN. Another utterly discredited Institution. Imagine building a base in the middle of Syria’s richest oil deposits and declaring we are fighting ISIS. The expression, Rule of Law, has become meaningless.